Freiburg - In the Bundesliga, as elsewhere, success can be a two-way street, particularly for smaller clubs operating on limited resources. So it has proven this season for SC Freiburg, whose dramatic turnaround from seemingly stone-cold relegation candidates to contenders for a UEFA Champions League berth right through to the final matchday of the season is down first and foremost to one man, Christian Streich. Even as his charges were battling for a fifth-place finish that eventually secured them a spot in the Europa League, Streich was resigning himself to watching some of them head off to pastures new over the summer. Max Kruse's departure for Borussia Mönchengladbach was confirmed as early as mid-April, with Jan Rosenthal, Johannes Flum, Daniel Caligiuri and Cedrick Makiadi all following in his wake soon after - the former duo signing up with Eintracht Frankfurt, Caligiuri VfL Wolfsburg-bound and Makiadi agreeing terms with Werder Bremen. 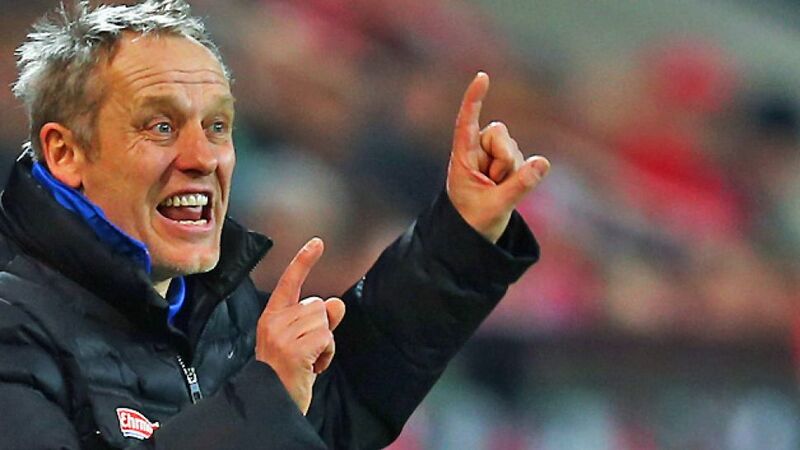 Streich's relationship with his former youth team protégé Flum in particular has been a long-standing one, but the 47-year-old tactician is under no illusions that grooming young prospects for more resource-laden outfits is always going to be part of the SC Freiburg package. He himself is committed to the Black Forest club for the longer term and views the situation as a challenge which has to be continually met anew. At any rate, the former midfielder and qualified German and history teacher has received an assurance from club chairman Fritz Keller that there are no further sell-offs earmarked for the time being. For his part Streich, who joined the Freiburg coaching staff back in 1995 and enjoyed great success with the U-19s, is not overly concerned about the talent drain thus far. "We have other players who are coming along nicely," the butcher's son from southern Baden said recently. And for all the evident talent in the SC ranks, FC Bayern's treble-winning head coach Jupp Heynckes was still moved to point out that, "the best man in Freiburg is sitting on the bench."